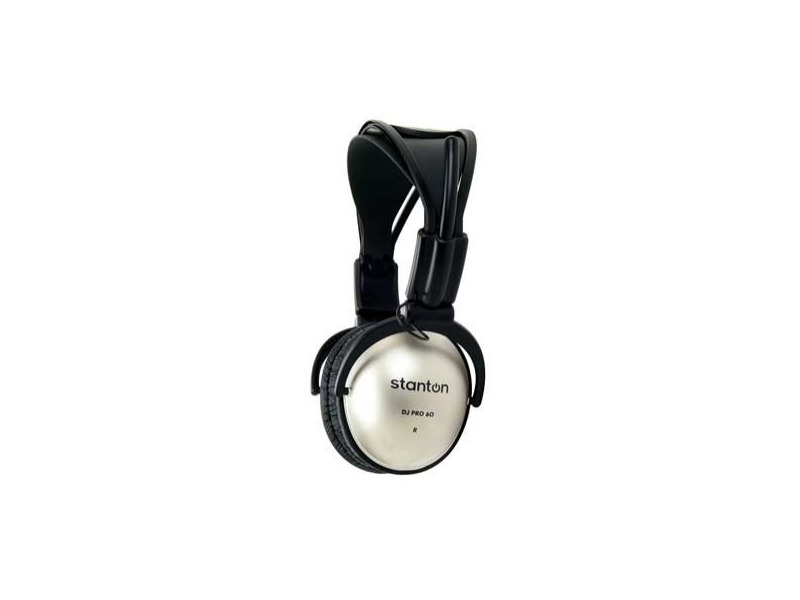 This lightweight, folding stereo headphone is compact enough to be easily transported in a pocket or backpack, yet delivers exceptional response and enough punch for loud and clear monitoring. For those wanting to get a entry level high end headphone, the Stanton DJ Pro 60 is a great choice. The most important thing for any headphone is sound quality, and these are very good. The low end is the lowest I've ever seen at 3hz, which is really too low for the human ear to hear, but any bass notes are solid and clear. The mids and highs are good, but not quite as bright as I'd like. If you listen to heavy bass music (hip-hop, rock, drum n bass, RnB) these are perfect, if your into more acoustic or classical styles, they may not be the best choice. The construction of these headphones are hit and miss. I love that they have a single side cord rather than the common y shape since it makes it easier to avoid snags and it also protects the cord better from getting yanked accidentally. They fold up easily, so fitting them into a backpack or purse is no problem and the free carrying bag is a nice extra. The one thing I didn't like was how tight they are. It does help isolate your music and block outside noise, but the headband has no notches to choose for your head size. They have a wide stretchable band that simply conforms to your head. I had no discomfort for long periods but I definitely was aware of the tightness. People with large heads will feel it more.They may loosen up after wearing them for a couple months. For the price I paid ($25 - Amazon) they are the best sounding headphones I've heard in that price range. Overall l am very pleased with them! The way the cord comes out of only one earpiece is a plus. You don’t get the “V” where the wires come together so there’s less tangling. What really caught my eye with the Stanton DJ Pro 60 was the way they can fold up to the size a bit larger than a baseball and be tucked away in the supplied pouch. The pouch is a nice looking flat black synthetic leather traveling pouch with the Stanton name and logo relief stamped into it. This is a nice feature for those looking for set of headphones that can be thrown in a suitcase or backpack. One size fit’s all... or maybe none. They’re not quite as comfortable and a bit more cumbersome than I would like but they’re adequate. Compared to open style headphones, the sound quality isn’t favorable. I’ve been looking for a decent pair of affordable traditional style sealed headphones. When I listen to music I don’t care for outside distractions. Nor do I like the bulkiness of most traditional earmuff headphones so the Stanton DJ Pro 60s seemed to be the logical choice. These do a particularly good job at the low end. They do a nice job at shutting out any surrounding noise so logically they’ll keep the music from reaching those who may not care to listen along. This, along with their ability to fold up, makes them ideal for the “on the goers”, commuters and travelers and such. The cord is particularly long, about 12 feet. This is nice for the home but a bit too long for being on then move. The headband is self adjusting. When you put it on you pull it down to your ears. When you take it off they spring back. If you’re music is mainly MP3s either on the computer or portable music or you’re looking to block exterior noise and not submit others to your music, the Stanton DJ Pro 60s have something to offer. If you’re commuting The DJ Pro 60 may be exactly what you need. Either way they are a definate consideration at $20-$25. $30???.....ehhhh. I have a pair of Koss UR 20. They're also bassy. Although a but mor muffled on the low end. The Koss are way more comfortable. Enough so where I might prefer the less expensive Koss.